Fragaria x ananassa (Rosaceae). Unlike other common temperate fruits, the strawberry is herbaceous, and therefore a relatively short-term crop, even in the garden. It is the quickest fruit crop after planting and the delicious flavour of the fruit ensures its popularity. Large-fruited hybrids widely grown today have been developed relatively recently; previously and for many centuries, fruits from three native European species were collected from the wild for eating. The most common, Fragaria vesca, was the first to be transplanted to the garden in the late Middle Ages, and plants were cultivated on a large scale in the Royal Gardens at the Louvre, Paris, during the reign of Charles V (1364-1380). The alpine strawberry, Fragaria vesca variety semperflorens, was not brought into cultivation until the 18th century, and about that time two other European species were domesticated, Fragaria moschata and Fragaria viridis. 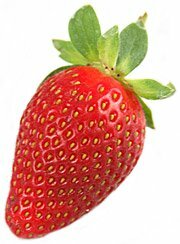 The former was the Hautbois strawberry, of which red-fruited and white-fruited forms were known. The sexes were often on different plants, a fact not understood at the time but which was the reason for its erratic yields. All the European species have small fruits and, unlike other soft fruits, seemed incapable of improvement by selection. The introduction of two Fragaria species from America and their cross-pollination was the start of the development of modern large-fruited strawberries. The species were the small aromatic Fragaria virginiana, native to eastern North America, and the larger Fragaria chiloensis, which grows wild on the Pacific coast from Alaska to Chile. Both were introduced first to France: Fragaria viginiana was reported to be growing there in 1624, and was introduced to England soon after. Fragaria chiloensis arrived in 1714, five plants having survived a six-months’ voyage across the Atlantic. These plants, which had been collected for their large fruits, were all female, needing cross-pollination for regular fruiting. A. W. Duchesne (1747-1827) was the first to understand this, and he described the ‘pineapple strawberry’ (Fragaria chiloensis x Fragaria virginiana = Fragaria x ananassa) in his Histoire Naturelle des Fraisiers (1766). Work in France on developing the hybrid was inhibited by the political turmoil of the Revolution, and the first important cultivars were produced in England by a nurseryman, Michael Keens. He introduced ‘Keens’ Imperial’ in 1814 and ‘Keens’ Seedling’ in 1823. Two other historically important cultivars were bred by Thomas Andrew Knight (1759-1838), namely ‘Elton Seedling’ and ‘Downton’. At the end of the century (1892) ‘Royal Sovereign’ was introduced by the nurseryman Thomas Laxton; it is still praised today for its flavour, but is too susceptible to disease for general cultivation. ‘Perpetual-fruiting’ strawberries (remontants) were raised by crossing alpine and large-fruited cultivars. Most of the initial work was done in France from the late 19th century but cultivars are now available of American origin as well as European. They normally fruit twice, in mid-summer and again in autumn. 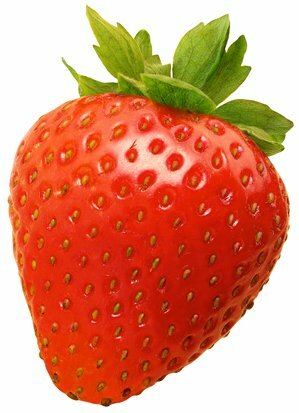 The native species of strawberries were grown in North America in the 17th and 18th centuries, as well as some European types. 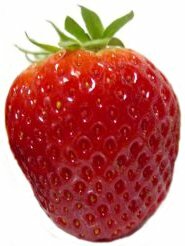 The first ‘pine’ strawberry (derived from Fragaria chiloensis and so called for their resemblance in shape to the pineapple) was cultivated in 1811; ‘Keens’ Imperial’ was introduced in 1830’s and is thought to be in the parentage of ‘Hovey’s Seedling’, the first significant cultivar raised in America (in 1840). It was superseded by ‘Wilson’, which had hermaphrodite flowers and therefore cropped more reliably. Breeding has continued in Europe and North America, growers producing cultivars suited to their own conditions, but there was little exchange of cultivars across the Atlantic for commercial growing, except between California and Spain. Fruits of American cultivars are firmer and of less flavour than those of most European ones. Some modern cultivars have achieved great size, up to 6cm across, but they are chiefly grown as curiosities. 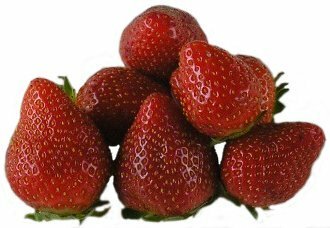 There is a year-round demand for fresh strawberries on the markets of the western world, which is being satisfied by the development of methods of manipulating the cultivation of the plant and the use of international air freight. The demand for fruit for processing is still increasing with new uses, and growing for self-pick has recently increased. In America, Californian coastal areas are the most important for strawberries; in Europe, Spain and Italy produce most of the fresh fruit, and Poland the most for processing. Other subtropical countries, such as Kenya and Israel, are also growing fresh fruit for the international market. The large-fruited cultivars of today are the progeny of two vary variable species, so that one hybrid or another can be found to suit a wide range of conditions, from the Equator to the Arctic Circle, from sea level to about 3000m. ‘Ambato’ fruits all the year round at the Equator in a 12 hour day and at -9.5ºC, but will not crop satisfactorily in Maryland. In California, a form of Fragaria virginiana subspecies glauca was found which was not dependent on daylength to initiate flowers and this has been crossed with other cultivars, initially ‘Shasta’, to produce strawberries capable of fruiting from three months after planting whatever the length of day: ‘Selva’ is the first commercially successful of these so-called day-neutral cultivars. Selection of cultivars with the right response to local daylengths and temperatures is the key to successful cultivation on a large or small scale. Plants are susceptible to low temperatures in winters of continental climates and need protection. Flowers are susceptible to injury by spring frosts, and windy conditions are known to reduce growth, so a sunny sheltered site is best for strawberries. They will grow in a wide range fo soil types, provided these are well drained, have a good content of organic matter, and preferably are slightly acid (pH 6.0-6.5). Good soil structure is more important than texture. Plants grown under protection can grow in soilless substrates, such as peat or perlite, or a nutrient solution. Infection by virus diseases is a serious problem with strawberries, and it is therefore essential to plant healthy stock. 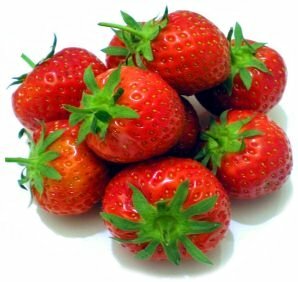 Most strawberry growing countries operate a certification scheme for large-fruited cultivars: plants are inspected during a season of growth for any sign of disease. Certified stock is a guarantee of good health, an important advantage when the plants are to be grown for three or four years in the garden. In the UK there is also a certification scheme for everbearers. Planting in autumn or spring is usual in the garden, but spring is preferable in areas with very cold winters. If runners can be obtained for late summer planting, a crop can be taken in the first year after planting, but delays reduce the eventual crop, so with later planting the flowers are removed in the first season to allow the plant to build up for the following year. Autumn-fruiting cultivars can be picked in their first season after planting, although they are generally deblossomed until just after mid-summer. For commercial growers planting dates depend on the required picking season and when the chosen cultivar initiates its flowers. Large-fruited cultivars start to initiate flowers in day lengths of about ten hours continuing until they become dormant: a chilling period is then needed before flowering when the temperature rises. The ideal time for planting these cultivars in the UK is the 1st of August; every week’s delay results in a 5% reduction in subsequent yield of fruit. Alternatively, cold-stored runners are planted on the 1st of July and then deblossomed; the same yield reduction results from delayed planting. A third system is to plant cold-stored runners on the 1st of May, allowing them to fruit in the first year. These dates are approximately the same throughout the temperate growing regions of Northern Europe and North America (north of latitude 42º). There is also a method developed in Holland (called waiting beds) which demands special cultivation. Runners are planted in April, growing and initiating flowers through the summer. Plants naturally become dormant and are then lifted in January and cold-stored before replanting in mid-May to late-May. 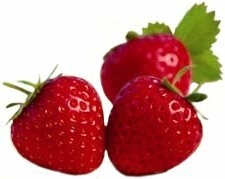 Fruiting starts after 60 days, usually when strawberries are scarce. In California (south of latitude 42º), the large-fruited cultivars are grown as annuals and two systems of cultivation are used. For winter planting, runners (the chief cultivar is ‘Chandler’) are propagated in high-altitiude nuseries (1300-2000m); they are then chilled for a week at 0-2ºC and planted in October for fruiting from late January onwards. The other method is to chill runners at –2-0ºC for 1 to 6 months, then plant in July and August to crop in the following March to August. The main cultivars used are ‘Pajaro’ and ‘Selva’ (day-neutral). Day-neutrals can also be planted in September/October or March/April for cropping in the subsequent year. Everbearers are also planted at these seasons; their flowers are initiated at days longer than 12 hours, but once in a flowering phase, flower development continues even in short days (less than 8 hours). Remontants initiate flowers in short days and crop in summer after autumn or spring planting. They then have the ability to produce a second crop in autumn. Almost all strawberry cultivars are self-fertile, but a recent British cultivar, ‘Pandora’, is male-sterile and needs another cultivar as pollinator. Planting patterns are variable; in gardens the usual system is single rows 75-90cm apart with plants at 35-45cm in the rows. Runners on large-fruited cultivars are usually removed as they appear but if they are left and laid into the row then a ‘matted row’ develops. This produces more fruits per unit area, but they are smaller and more susceptible to rotting, due to reduced air circulation in the crowded conditions. Commercial growers cultivate dessert strawberries on ridges, which give better drainage and air circulation, quicker soil warming, and easier picking. The usual pattern is a double row of plants with an irrigation line up the middle; ridges of up to four rows, which may be up to 60cm high are planted in California. Soil preparations before planting mean removing all perennial weeds and incorporating as much organic material as obtainable (a barrowload per 10m²). Application of a complete fertiliser just before planting will, with the manure, usually supply the plants with adequate nutrients throughout their life. At planting the crown (a shortened stem) must be at soil level, not above it or the roots will dry out, nor below or the plants will rot. Mulching with clear or black plastic film is commonly used throughout the life of commercial plantations, to help maintain soil moisture, supress weed growth and keep fruits clean. Clear film is used on fumigated soils, where there will be no weed problem; it allows the soil to warm up more quickly, giving an earlier start to picking. Black plastic has less effect on soil warming, but controls weeds and conserves soil moisture. It is well suited to garden use. A straw mulch has traditionally been used in the UK for clean fruits, being placed round the plants as the fruits start to swell. 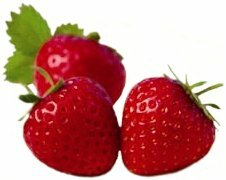 Strawberries need adequate water at three stages in particular: after planting, at the end of flowering, and during fruit swelling. In dry conditions irrigation every seven days may be needed to make up a shortfall in rain; soil type is a significant factor in calculating the amount needed. Overhead watering encourages fruit rots, so application at soil level below the mulch is more efficient. Control of competing weeds is essential throughout the life of the plot or plantation, either by hoeing or herbicides. Plastic mulches help to suppress weeds but give a congenial home for slugs, and slug pellets are routine for control. If a matted bed is not required, runners should be cut off after cropping; there is a negative correlation between runner production and crown development, so removal of runners promotes a multi-crowned plant. Fruit is picked with the calyx, severing the stem with the thumbnail without touching the fruit which is easily marked by any presssure. Field heat must be removed as quickly as possible before transport to the market; in the garden keep picked fruits in the shade and use as soon as possible. Machines are not used for harvesting dessert fruit; they pick all fruits at one pass and damage many of them, so those being developed will only be for processing fruit. 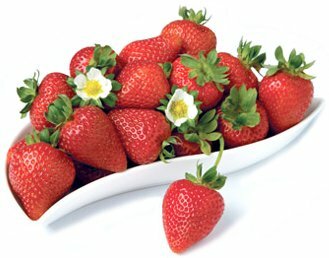 Strawberries are less suitable for freezing than other soft fruits, as they collapse on thawing. Immediately harvesting is finished the old leaves are mown off at about 10cm above the ground to avoid any damage to the crowns, removed and burnt. This destroys pathogens and allows new growth to develop in healthy conditions. This treatment should not be applied to remontant cultivars, from which only the oldest leaves should be removed by hand. Although strawberries can be manipulated to fruit out of season, everbearing and remontant cultivars are grown to extend the season from late summer until the frosts. These produce yields equivalent to those of summer fruiting cultivars, but over a longer cropping period. Basic techniques of cultivation are the same, but row spacings are wider. After spring planting the strawberries can be allowed to fruit in their first season, removing the first truss to build up a good start to fruiting. It may then be worthwhile covering the rows with plastic tunnels to prolong the fruiting beyond the first frosts. Winter protection may be necessary in continental climates. A layer 5-8cm thick of straw or pine needles or similar material is laid over the plants before temperatures reach –6.6ºC; it is removed in spring as soon as growth begins. Strawberries propagate themselves naturally by runners, produced in quantity in late summer. If healthy they can be used for new plantations, but because of the susceptibility of strawberries to virus infection it is generally preferable to buy in plants certified as virus-tested. Nurserymen grow their young plants in aphid-free glasshouses or in isolation in the field to protect them from the aphid vectors of the viruses. Propagation of strawberries by tissue culture is used in special cases, such as for rare cultivars or for production out of season. Seed is only used for raising new cultivars. Summer-fruiting cultivars and perpetuals can be manipulated to fruit out of season in several ways. Fruiting is advanced by a few weeks by covering plants in the field by low plastic tunnels or by growing them in glasshouses or larger plastic houses; these give sufficient protection from low temperatures in spring for the fruits to ripen earlier, or in autumn to allow a longer season of fruiting. One-year-old plants are used for this as they tend to crop earlier and are less leafy (so less crowded in the confined space under the tunnel). In the field these are planted in late summer from the grower’s own runners, or in July with cold stored runners. 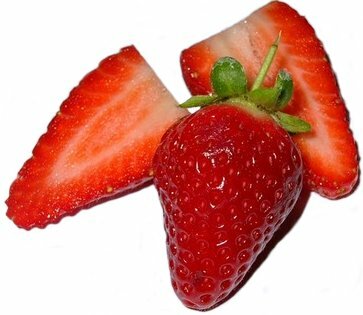 Strawberry cultivars are replaced more rapidly than with other soft fruits in the pursuit of improved fruit quality, resistance to pests and diseases, and with changes in methods of cultivation. Dutch and Belgian breeders have produced cultivars with very large fruits and red flesh, which dominate the lists, such as ‘Gorella’ (early), ‘Hapil’ and ‘Tamella’ (mid-season) and ‘Bogota’ (late). Older English cultivars include the Cambridge series, of which ‘Cambridge Favourite’ is a reliable cropper. ‘Pandora’ is a newer English-bred cultivar, but it must be grown with other mid-season or late cultivars for cross-pollination: ‘Elsanta’ is now replacing this commercially. ‘Honeoye’ is an American-raised cultivar that shows promise in Europe. ‘Senga Sengana’ is another older cultivar, originally raised in Germany, that is still popular in Scandinavia. Among everbearers for Europe are ‘Ostara’, ‘Gento’ and ‘Aromel’. In North America there are six regions of commercial cultivation, therefore a wide range of cultivars for different conditions. In the south, ‘Chandler’, ‘Pajaro’ and ‘Selva’ are used for annual crops, with ‘Earliglow’ in the southeast for longer-term plantations. This cultivar is also widely grown in the northeast, the midwest and plains areas together with ‘Honeoye’. The latter is also grown in Canada, but the main cultivar of the Pacific northwest is ‘Totem’. In the US cultivars are usually divided into day-neutral kinds, which crop over a long period, and main crops. Besides those mentioned above, the following day-neutral cultivars are recommended: ‘Fort Laramie’, ‘Ogallala’, ‘Ozark Beauty’, ‘Quinalt’, ‘Sweetheart’, ‘Tribute’ and ‘Tristar’. Maincrop cultivars are legion. Most of the following are resistant to diseases prevalent in the US. ‘Blakemore’, ‘Cardinal’, ‘Catskill’, ‘Delite’, ‘Earlibelle’, ‘Earliglow’, ‘Guardian’, ‘Kent’ (very cold-hardy), ‘Lateglow’, ‘Midway’, ‘Robinson’ (drought-resistant), ‘Senator Dunlap’, ‘Sequoia’ (everbearing in mild climates), ‘Sunrise’, ‘Surecrop’ (drought-resistant), ‘Tennessee Beauty’ (good freezer) and ‘Vesper’. ‘Baron Solemacher’ is the most commonly available alpine strawberry, but ‘Alexandra’ is an improved form. Others include ‘Alpine Yellow’, ‘Ruegers’ and ‘Ruegers Improved’. ‘Serenata’ is a recent hybrid between a strawberry and Potentilla palustris, with deep pink flowers and fruits larger than alpine cultivars in late summer and autumn. Several ubiquitous pests attack strawberries including red spider mites (Tetranychus subspecies), capsids, larvae of wingless weevils, froghoppers, wireworms, chafer beetle grubs, millepedes, symphlids and cutworms. Additional pests common to Europe and North America include the stem eelworm (Ditylenchus dipsaci) and leaf and bud eelworms (Aphelenchoides subspecies); other eelworms such as Xiphinema subspecies and Longidorus subspecies are responsible for transmitting certain virus diseases. Strawberries are also attacked widely by a tarsonemid mite, the strawberry mite (Tarsonemus pallidus), and in Europe roots may be damaged by the subterranean caterpillars of swift moths (Hepialus subspecies). More specific pests include the strawberry bud weevil (Anthonomus signatus) in North America and the closely related strawberry blossom weevil (Anthonomus rubi) in Europe, both of which are small, long-snouted weevils, up to 3mm in length, which deposit eggs in blossom buds, then partly or completely sever the buds; the strawberry aphid (Chaetosiphon fragaefolii); and the strawberry leaf roller (Ancylis comptana) in North America and a close European relative, the strawberry tortrix moth (Ancylis comariana). Additional North American pests include the strawberry crown borer (Tyloderma fragariae), a wingless weevil with larvae that tunnel in the crowns; the strawberry root worm (Paria fragariae), a small leaf beetle that feeds on the foliage with both root-feeding and crown feeding larvae; and the strawberry root aphid (Aphis forbesii). The fruits of strawberries may be attacked by slugs, snails, birds and squirrels. The strawberry seed beetle (Harpalus rufipes) and the strawberry ground beetles (Pterostichus madidus, and Pterostichus melanarius) also damage the fruits. These black beetles, up to 20mm long, feed on ripening fruits by removing the seeds and eating pieces out of the flesh. As the damage resembles that caused by birds or slugs, the presence of the beetles should be confirmed by searching for them under the mulching material beneath the fruiting trusses. Preventative treatment consists of applying appropriate residual contact insecticides to the soil surface around the plants before mulching with straw or other material, or trapping beetles by sinking jam jars with their tops level with the soil surface. Some slug baits are known to be effective, but neither these nor insecticides should be used during the harvesting period as ripe fruit could become contaminated. In strawberry red core, caused by the fungus Phytophthora fragariae, the plants are stunted, the outer root tissues rot and the central root core is red. Resistant oospores formed within the root can persist in the soil for many years and give rise to new infections. Some varieties have a level of field resistance to the disease but none are immune. Disease control mainly depends on planting disease-free stock in clean land although in commercial production established plants may be treated with systemic fungicide sprays and drenches. Similar treatments are applied to control the wilt caused by Verticillium dahliae. Another soil-borne fungus, Phytophthora cactorum, causes crown rot in which the leaves wilt and the crown tissues are brown and rotten; if the soil is not covered with straw the fruits may be infected resulting in the so-called leathery rot. Strawberry hard rot, in which brown sunken patches develop on the fruit, is caused by the fungus Stagonospora fragariae (synonymous with Septogloeum fragariae), which also causes large brown leaf spots with red to purple margins often surrounded by a yellowish zone. The leaf spot caused by Mycoshpaerella fragariae causes reddish spots with distinct grey centres, while spots caused by Diplocarpon earlianum are similar but lack grey centres. Strawberry leaf blotch is caused by Gnomonia fragariae (usually present as the conidial stage Zythia fragariae) and results in irregular large brown blotches as well as affecting the leaf stalks, stolons and fruits. This disease also occurs on geums. Leaves affected by the various leaf spot diseases should be removed and burnt at the end of the season. Grey mould (Botrytis cinerea) is often serious in strawberries and like powdery mildew (Sphaerotheca macularis) may necessitate regular spraying with fungicides, especially in commercial production. 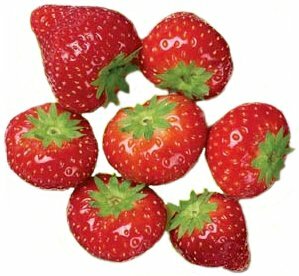 Strawberries are also susceptible to leafy gall (Corynebacterium fascians) and when associated with the eelworms Aphelenchoides ritzemabosi and Aphelenchoides fragariae the bacterium cause cauliflower disease of strawberries, a severe stunting and swelling of the leaf and flower stalks. Several viruses, either single or in combination, are likely to affect strawberries, resulting in symptoms such as stunting, mosaic, spots, blotches, yellowing and crinkling or crumpling of the leaves. They include the aphid-transmitted strawberry crinkle, strawberry latent ringspot, strawberry mild yellow edge and strawberry vein-banding viruses as well as the eelworm-transmitted arabis mosaic, raspberry ringspot and tomato black ring viruses. The strawberry green petal mycoplasma, transmitted by leaf hoppers, causes stunting and yellowing, while the petals are green and the fruit is either absent or fails to develop properly. Certified virus-free planting material should be obtained and systemic insecticides can be applied to control aphids and leafhoppers. If eelworm-transmitted viruses have occurred it is necessary to choose a new site or apply soil sterilisation treatments.